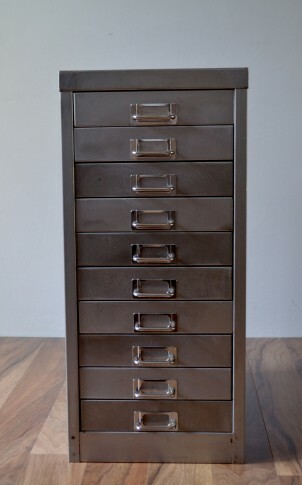 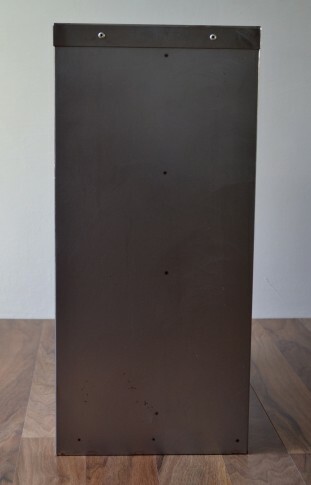 Stripped retro metal filing cabinet. 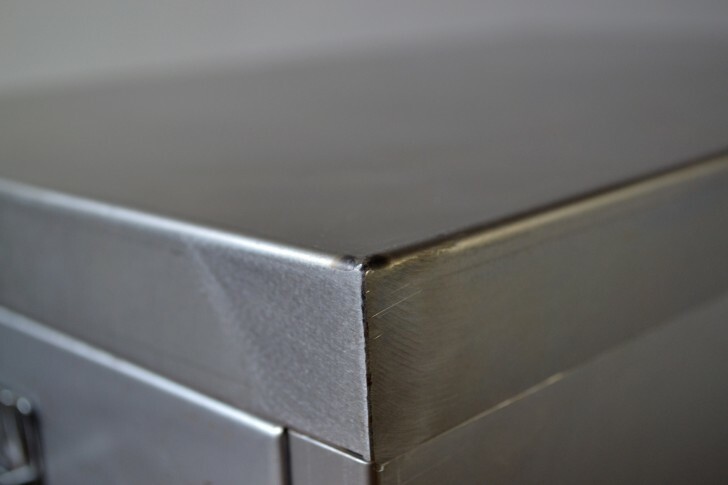 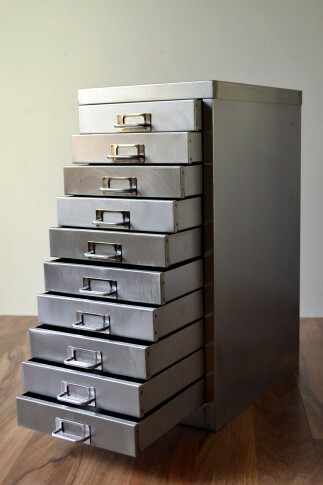 We’ve completely stripped the filing cabinet and polished to provide a brushed metal finish that works perfectly with the original high gloss metal handles. 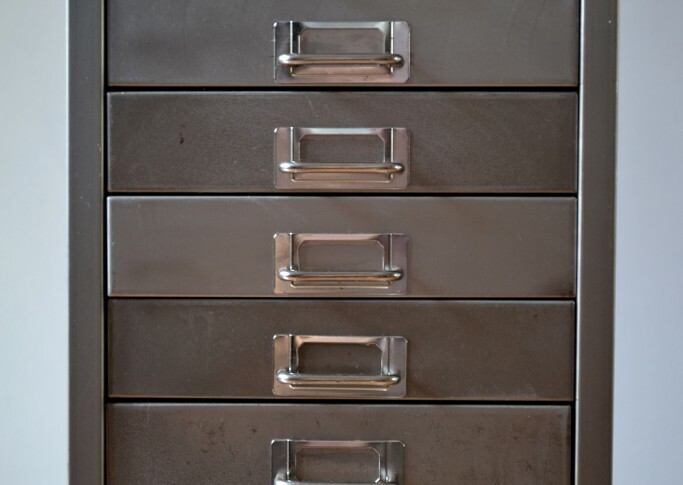 Lovely varying patina on the metal drawers. 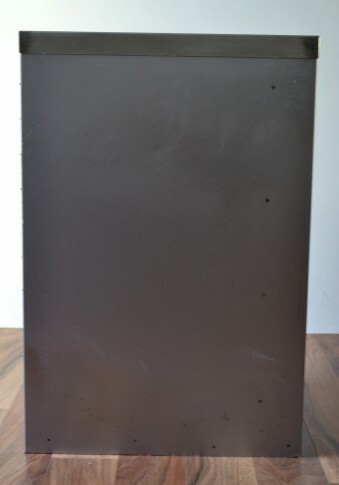 Few knocks , scratches and marks (see pics) that if any adds to the character of the item. 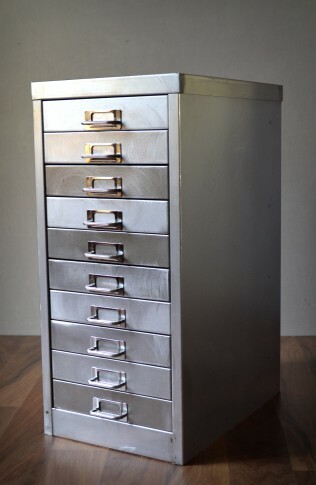 Great piece of industrial!